Delicious, fresh Vietnamese food is at your fingertips any night of the week thanks to the 80 accessible, easy recipes in Vietnamese Food Any Day. 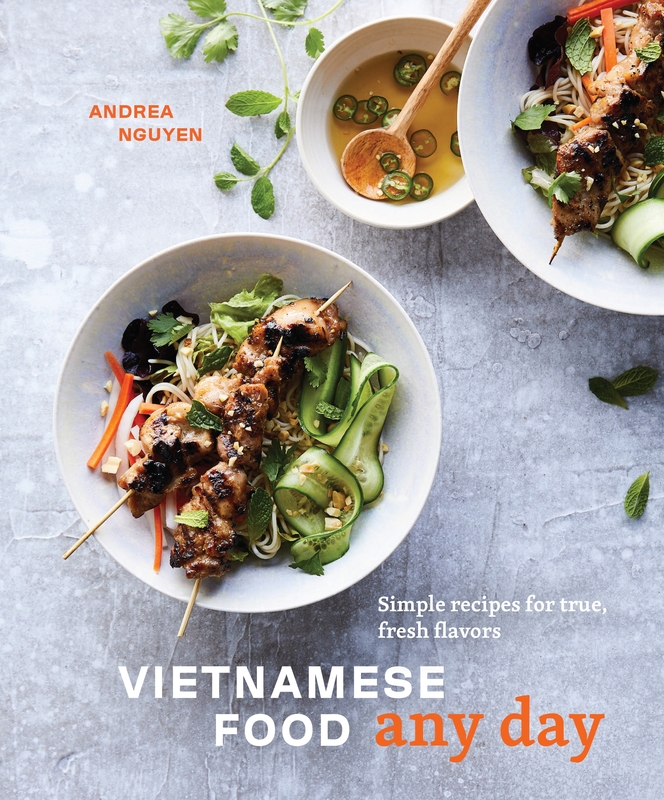 Drawing upon decades of experience, as well as the hacks her own mom used coming from Vietnam to America, award-winning author Andrea Nguyen shows you how to use everyday ingredients to create true Vietnamese flavors at home--fast. With Nguyen as your guide, there's no need to take a trip to a specialty grocer for Vietnamese favorites such as banh mi, dumplings, lettuce cups, and pho, as well as recipes for Honey-Glazed Pork Riblets, Chile Garlic Chicken Wings, Turmeric Coconut Rice, and No-Churn Vietnamese Coffee Ice Cream. Nguyen's tips and tricks for getting Viet flavors from ingredients at national supermarkets are indispensable, liberating home cooks and making everyday cooking easier. Her approachable methods, as well as her hardworking tips, give you all the tools you need to make Vietnamese dishes a part of your regular meal rotation. Love Vietnamese Food Any Day? Subscribe to Read More to find out about similar books.